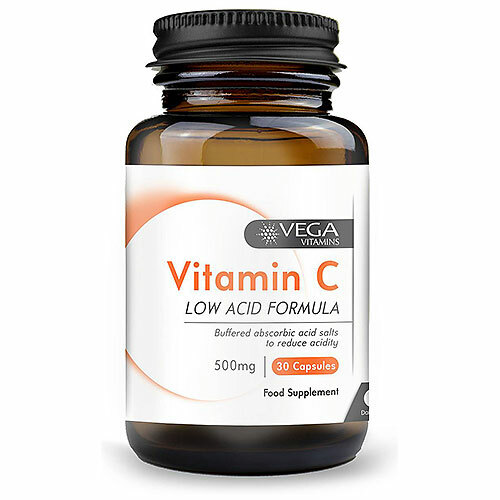 Vega Vitamins Vitamin C contains a non-acidic form of vitamin C (calcium ascorbate) and is fortified with natural bioflavonoids for maximum effectiveness. Vitamin C (Calcium Ascorbate), Vegetarian Capsule Shell (Hydroxypropyl Methylcellulose, Colours (Titanium Dioxide, Copper Chlorophyllin)), Citrus Bioflavonoids Complex (Citrus aurantium), Hesperidin, Rutin, Anti-caking Agent (Magnesium Stearate). This product should not be a substitute for a varied diet. 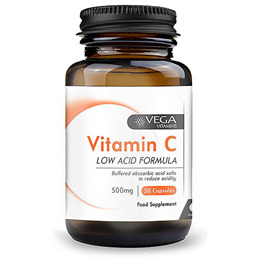 Below are reviews of Vega Vitamins Vitamin C - 30 x 500mg Capsules by bodykind customers. If you have tried this product we'd love to hear what you think so please leave a review.